Visualize stacking cordwood. You’re laying down rows, not building columns: Fill nooks and crannies until you have a solid, stable load—and be sure weight is equally balanced on each side. 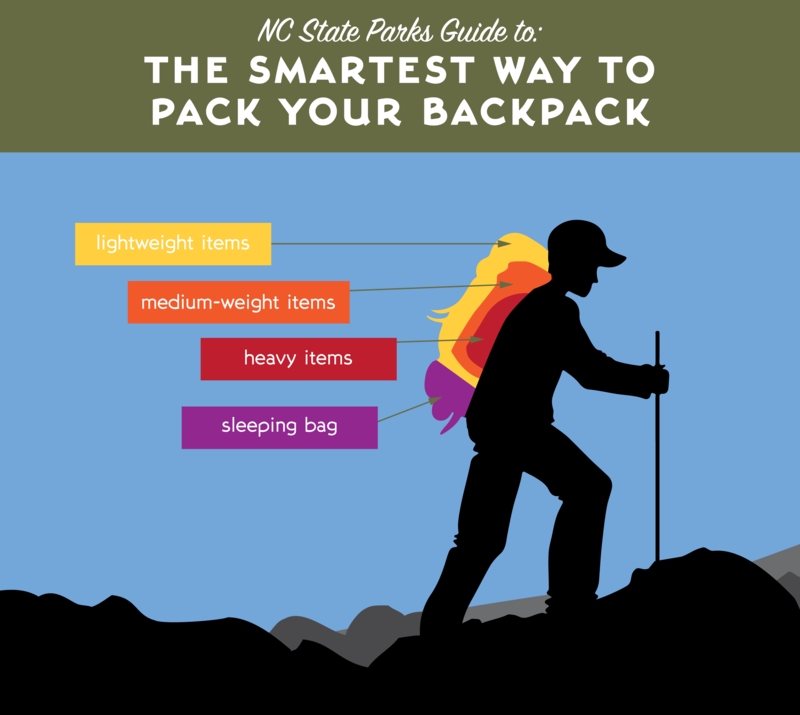 Tighten compression straps to streamline your load and prevent it from shifting as you hike. Repeats every month on January, February, March, April, May on the third Thursday until Fri May 17 2019. Also includes Thu May 30 2019. Join Ranger Fields on an adventurous night hike down to the millpond. We will be looking for different types of birds, reptiles and amphibians, and any other crepuscular dweller. Come prepared with hiking shoes and a flashlight/headlamp. This event will occur after closing hours, so arrive 15 minutes early. Repeats every week every Sunday and every Saturday until Sun Oct 27 2019. Repeats every week every Sunday and every Saturday until Sun Sep 01 2019.